The Electromechatronic Systems Research Centre (CISE), established at the University of Beira Interior (UBI), is focused on the study of electromechatronic systems, integrating into a single domain the following three main engineering areas: electrical, mechanical and electronic engineering. CISE comprises four dedicated research facilities, the Electromechatronic Systems Laboratory (LSE) at the University of Beira Interior (UBI), the Laboratory of Electric Energy Systems (LSEE) at the University of Algarve (UAlg), the Laboratory of Electromechatronic Systems Modelling (LESM) at the University Mohamed Khider in Biskra, Algeria, and the Guarda International Research Station on Renewable Energies (GIRS-RES) at the Polytechnic of Guarda. 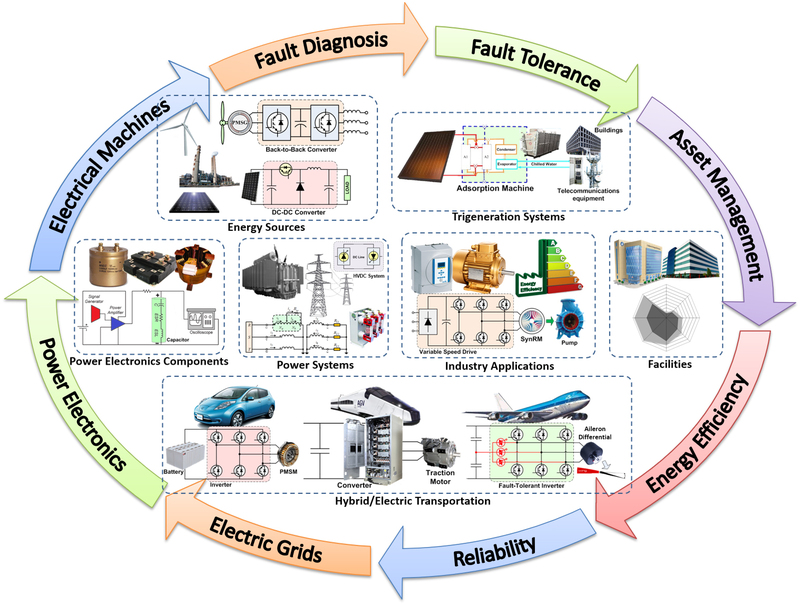 LSE is equipped for simulation studies and experimental tests in some of the research areas of the electromechatronic systems domain. At LSEE the research work is focused on fault detection and diagnostics of transmission and distribution network components and power systems protection devices. LESM facilities provide the tools required to the development of research activities aiming the theoretical and computational modelling of electromechatronic systems. The research activities are complemented by GIRS-RES, which is especially dedicated to the renewable energies study. This facility provides, among others, the appropriate conditions for the installation of bulky equipment, both indoor and outdoor.